1. 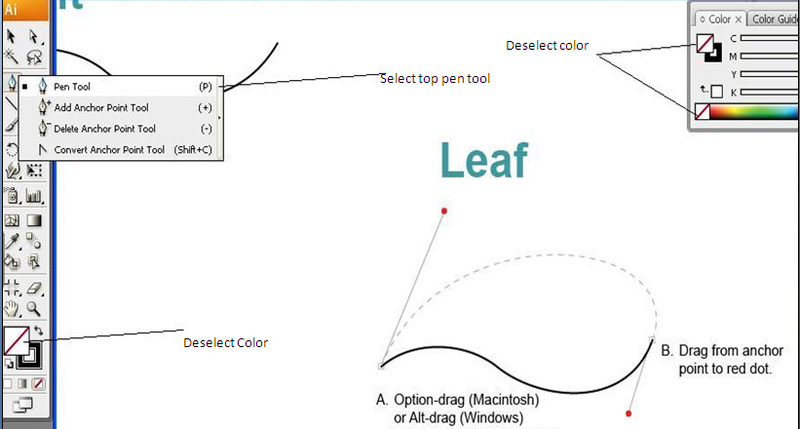 Start at A. drag pen tool from anchor point to red dot and then release. 2. 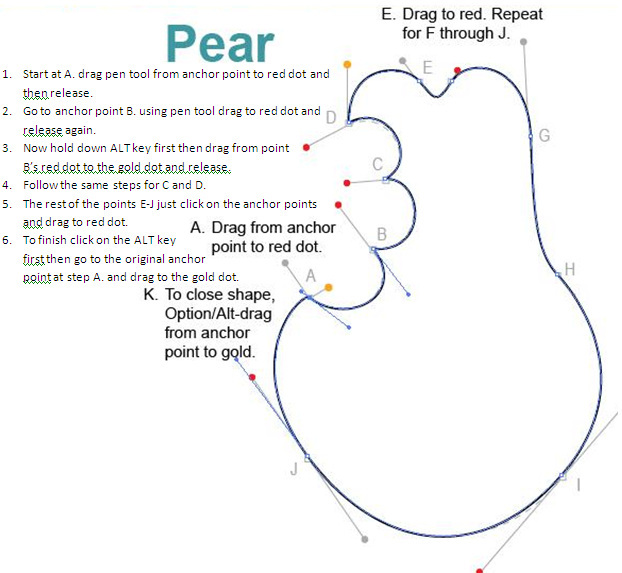 Go to anchor point B. using pen tool drag to red dot and release again. 3. Now hold down ALT key first then drag from point B’s red dot to the gold dot and release. 4. 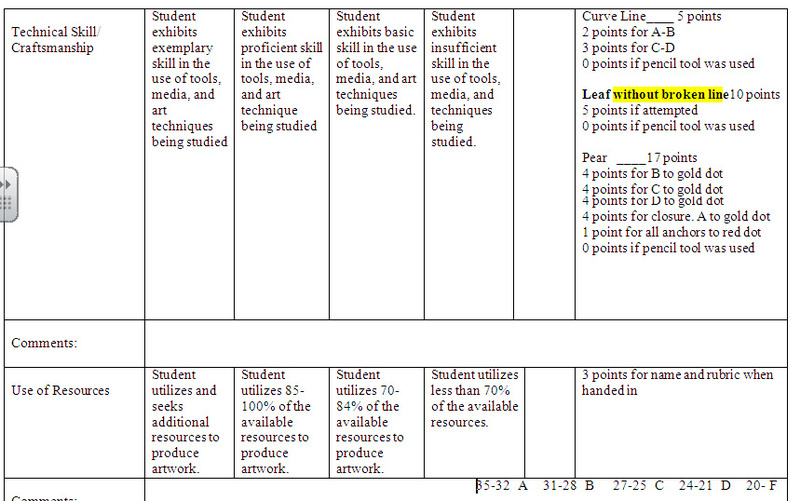 Follow the same steps for C and D.
5. 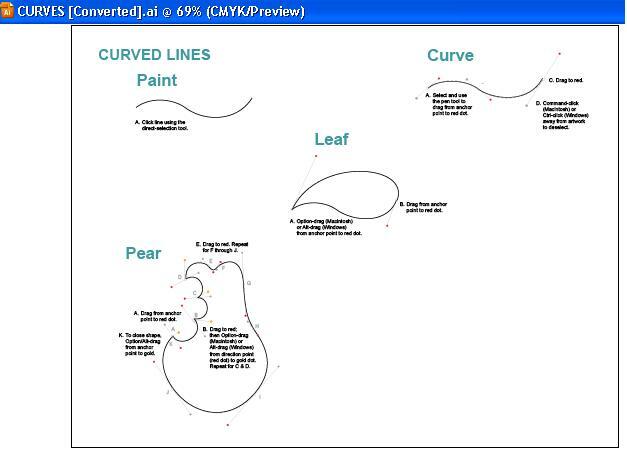 The rest of the points E-J just click on the anchor points and drag to red dot. 6. 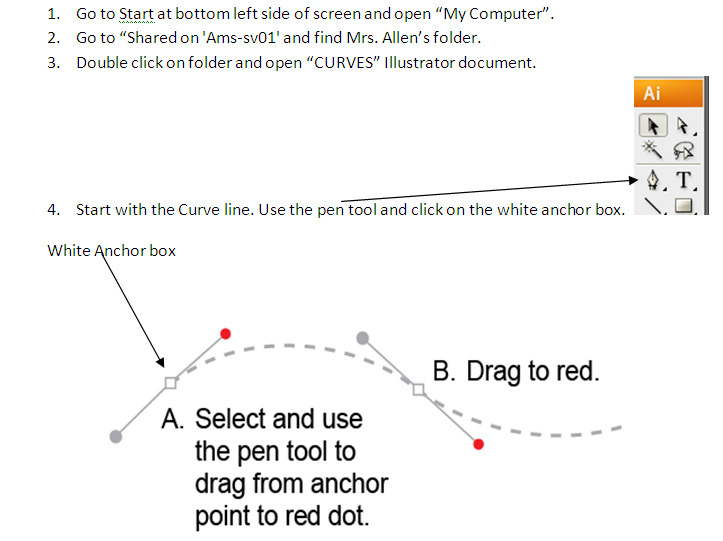 To finish click on the ALT key first then go to the original anchor point at step A. and drag to the gold dot.